Looking for a reliable ground transportation service in Stamford? Residents and visitors in and around Stamford find that our Limousine Service is synonymous with quality and dependability. Drivers Unlimited is committed to providing you with the most efficient car service in our quality, well-maintained fleet of vehicles. Contact us to arrange your next trip whether you are traveling for business or leisure. At Drivers Unlimited we have put together a professional team of car service experts, enthusiastic and committed chauffeurs to provide you with the highest level of limousine service. All our chauffeurs are fully licensed and posses years of industry experience and inside out knowledge of Stamford and surrounding areas. When you need a ride to a client appointment, into New York City or up to Hartford, or you need a ride to JFK, LaGuardia, Newark, Westchester or Bradley airports, give us a call. We”ll pick you up at your home or office, and for arriving flights ask for our signature “Red Hat Service” where we’ll meet you at Baggage Claim. Our Executive Car Service is the most economical, comfortable and reliable way to travel. The Drivers Unlimited team is ready to look after all your needs. We have a range of well-maintained vehicles for you to choose from. Select from our Lincoln MKT town cars, to large Chevrolet Suburban SUVs, to ten-passenger executive vans. Simply call 203.656.8400 today or use our Quick Quote section on the home page of this website for a free quote. You can use the button below to book your transportation online immediately. 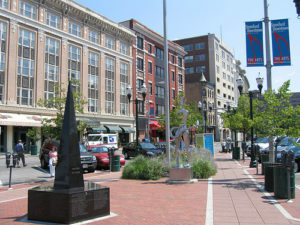 Stamford is the third-largest city in the state (behind Bridgeport and New Haven) and the seventh-largest city in New England. 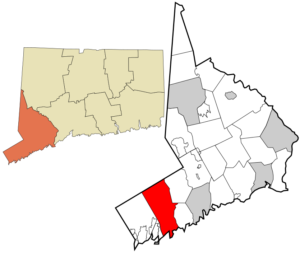 Approximately 30 miles (50 kilometers) from Manhattan, Stamford is in the Bridgeport-Stamford-Norwalk Metro area which is a part of the Greater New York metropolitan area. Stamford was known as Rippowam by the Native American inhabitants to the region, and the very first European settlers to the area also referred to it as such. The present name is after the town of Stamford, Lincolnshire, England. The deed to Stamford was signed on July 1, 1640 between Captain Turner of the New Haven Colony and Chief Ponus. By the 18th century, one of the primary industries of the town was merchandising by water, which was possible due to Stamford’s proximity to New York.